When it comes to fashion blogs, Samantha Wennerstrom’s gorgeous Could I Have That tops our list. What originally began as a creative outlet for sharing her favorite things, Samantha’s blog has grown into a thriving business while she’s become an influential force in the fashion world. 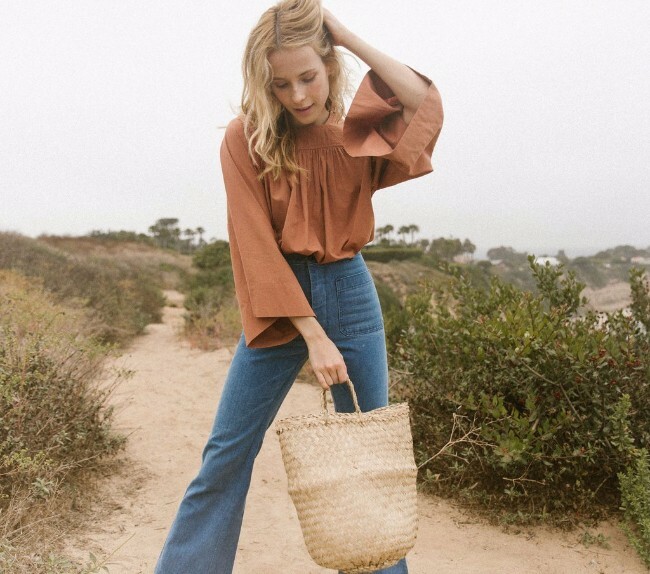 Her Santa Barbara-based family has also grown to include a husband and a daughter and with it, her blog now includes fashion finds for minis, food ideas, home decorating inspiration, travel tips, and more. We love the laid-back California style she’s infused into her home and her fashion choices and were thrilled when she agreed to share some of her favorite things with us. An oversized oxford shirt, sometimes borrowed from my husband. A silky Raquel Allegra dress. It’s simple and timeless. I wear it to everything! 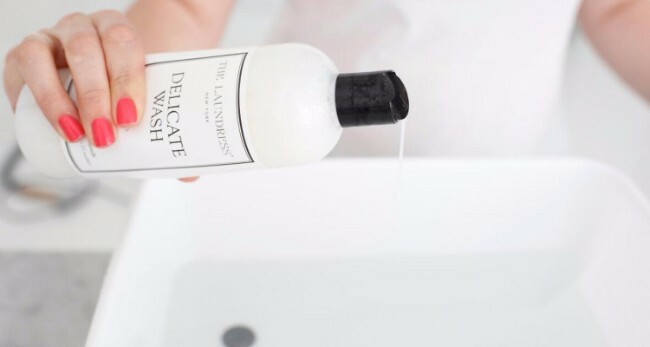 Hand washing with The Laundress Delicate Wash. 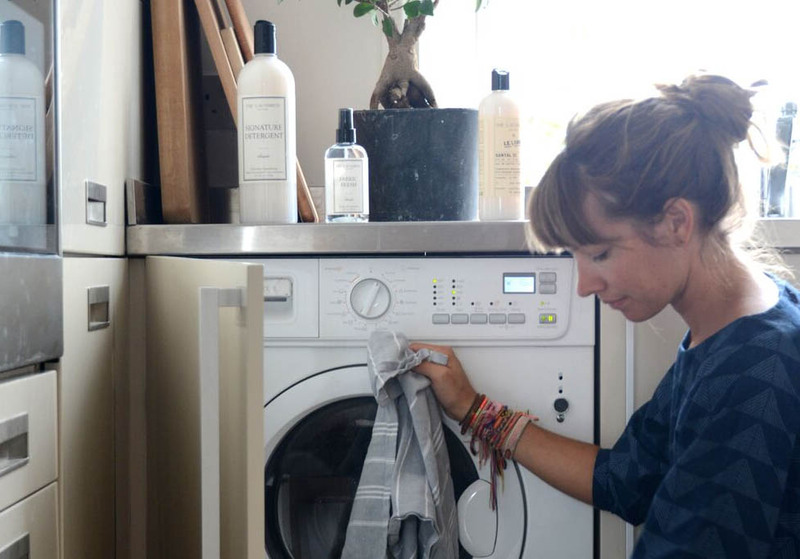 The Laundress Signature Detergent (actually all of the detergents/washes), I love the way my clothes smell after using them. Brochu Walker cashmere sweater, Amo Denim jeans, Freda Salvador mules and an oxford shirt by Chance. Relaxed fitting jeans, a feminine top (usually Dôen) and flats.